We are into offering Sealed Type Blind Rivets that are highly appreciated by clients world-wide. The Sealed Type Blind Rivets are fully sealed fasteners excellent for use where water or air tight joints are required. 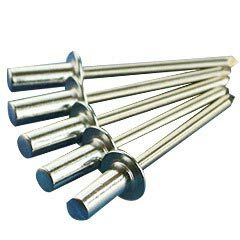 This range of Sealed Type Blind Rivets is offered to the esteemed clients at market leading rates.